For weeks now, most have been getting ready for Halloween with costumes, decorations, pumpkin patches and carvings and all-around spookiness. I’ve never been a big Halloween celebrator, but I’m obviously getting into it now that my girl can have fun with it. Which is really what this holiday is for-just having fun, getting great pictures and over-dosing on all sorts of sweets. In our bicultural home we also have a fondness for Día de los Muertos (Day of the Dead), which is celebrated on November 1st and 2nd, and is a traditional Mexican holiday dedicated to the memory of the loved ones we’ve lost. The idea is that we celebrate and remember them with joy, cheerfulness and colors. This tradition is so full of history and symbolism that it’s one I’m hanging on to tightly to instill some meaning into these over-hyped holidays. Altars are made in honor of family and friends that have passed away and are decorated with their pictures, personal objects or mementos and candles. Their favorite food and drinks are also placed on the altar, along with a trail of marigold flowers to create a path so their soul can find its way back and join the celebration for the day. The idea is that by placing these artifacts, flowers and foods the person will be remembered and celebrated for who they were in life and this will encourage them to pay a visit. The concept might sound spooky, but it really is celebrated with so much positiveness towards the inevitability of death, and in such a festive environment, that the feeling of being scared will rarely creep upon you. Day of the Dead is a holiday infused with so much tradition and history that Mexico as a whole embraces it. You can see some very elaborate, to the point of being works of art, altars in public schools, government offices and most public spaces. In fact, it’s one of the few ancient indigenous celebrations to remain after the Spanish conquest. The most important icons associated with Día de los Muertos are the calaca, the Catrina, las calaveras and the pan de muerto. These are all basically representations of death in a playful way. The message is that passing away is just one more inevitable stage in life that should be met with joy because it just is what it is. Talk about chilling out! 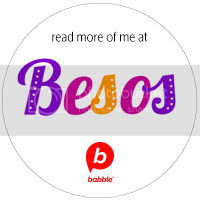 I’ll tell you a bit more about each so you can incorporate these in your own Día de los Muertos celebration. It’s all about making it work for you. The name simply means “skull.” However, in Day of the Dead terms it takes on several meanings. 1. A sugar or chocolate skull which is fancifully decorated in many colors and which is typically personalized with the name of the person it will be given to as a treat. This is a very fun tradition to start with your kids. You can buy simple calaveras via Amazon and have fun decorating them with different color frostings. These can be handed out as Día de los Muertos gifts to friends. 2. A satirical and humorous short poem written to criticize a social situation or person, usually aimed at politicians and celebrities. You can imagine the fun cartoonists and print news outlets have with these ones! Schools also bring out kids’ literary creativity during this season by having them make up their own calaveras literarias and even holding contests for the best ones. La muerte fue tras él. ¿ De qué se murió Gabriel ? De amor y otros demonios. 3. Artistic representations of skulls abound during this holiday. These are also called calaveras. 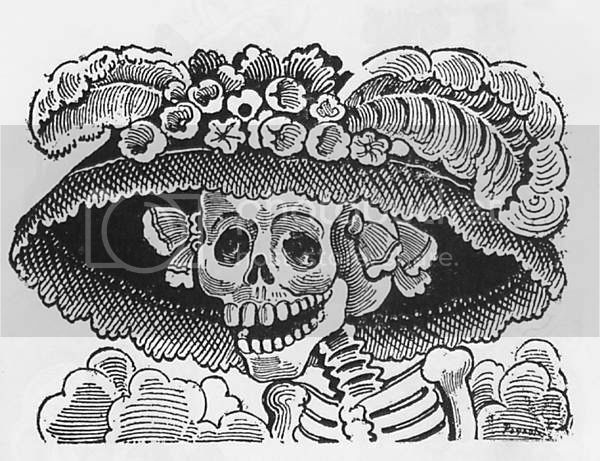 We can thank artist José Guadalupe Posada for popularizing them and for dreaming up La Calavera de La Catrina as a satire to the upper classes. Little did he know it would become his most famous lithograph and one of the most obvious graphic representations of Día de los Muertos and Mexican culture at large. It literally translates into “Bread of the Dead” and is what I look forward to the most. 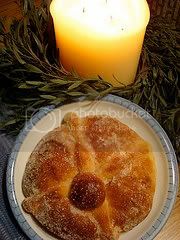 It’s basically a soft and sweet, round-shaped bread that’s baked to place as an ofrenda on the altars and to be shared by families and friends with hot chocolate or coffee. Traditionally, the top of the bread is decorated with pieces of dough thinly rolled out to resemble bones. Take a look around your local Latin market or bakery to see if they’ve baked some this week. If not, and you’re feeling adventurous, try out this recipe I found here. These are basically skeletons having a blast in their afterlife! 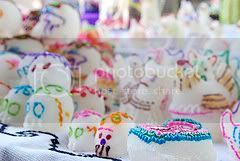 Calacas are used as decoration and also to spoof on popular celebrities and politicians by creating calacas in their image. 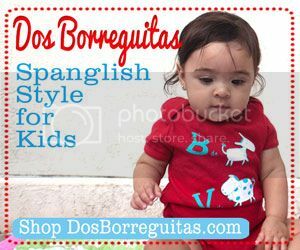 The tradition is to dress them up in colorful clothes and have them appear to be dancing, playing a musical instrument, eating and just plain having fun. A great example is this video called Viva Calaca of animated skeletons dancing to a high-energy song. Warning: your kids will want to dance like a calaca! “Para el habitante de New York, París o Londres, la muerte es la palabra que jamás se pronuncia porque quema los labios. El mexicano en cambio, la frecuenta, la burla, la acaricia, duerme con ella, la festeja, es uno de sus juguetes favoritos y su amor más permanente”. We visited a cemetary in Mexico City one year on Día de los Muertos and it was probably the best cemetary experience I’ve ever had. Instead of getting creeped out by all the graves as I usually do, all the families there eating, playing music, leaving flowers, and celebrating the lives of their loved ones who had passed away made the whole grave and cemetary thing make a lot more sense. It truly is a beautiful scene, isn´t it? Thanks for sharing! I am forwarding this post on to my amigas Latinas who strive to hold onto their traditions. This was an amazing post – so much surrounding those two days! For us, we slip a nice bottle of white wine into the Radio Flyer Wagon, and off we go with our daughter as she trick or treats around our neighborhood. Simple but a fun tradition nonetheless! .-= Beth Butler´s last blog ..Fun Friday with BOCA, Boca Beth and Halloween Fun! =-. We appreciate the forward..especially coming from you! I have a favor to ask…. 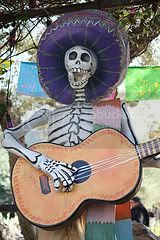 can someone please write a typical Dia de los Muertos greeting in Spanish? I would like to send a greeting to all my Mexican buddies… THANX! I love the quote from Ocatavio Paz in the article. You really do get that sense in reading Latin American literature– at least in Marquez and Borges, I feel. It’s almost like death does not come as a reaper with a sickle, but like a mexico city limo on the way to a party. Víva Día de los Muertos! Excellent complilation of information and I loved that Viva Calaca video! Thank you! Glad you watched the video because it´s definitely worth it! This blog inspired me to look into how this relfects in my countires hilidays. I noticed that In canada we celebrate a day for screams and ghosts on october 31st. This holiday is called halloween. In spain they celebrate the end of october a little differently. From october 31st to november 2nd, they celebrate a day called day of the dead. They seem so similar, are they the same? I can see why you would think this, because both of these holidays happen on the same dates, therefore they are considered to be the same. But, although there are some similarities, there are a lot of differences. The first difference is the food. On halloween kids go from door to door, asking for candy. But, on dia de los muertos, people offer food and objects called ofrendas. 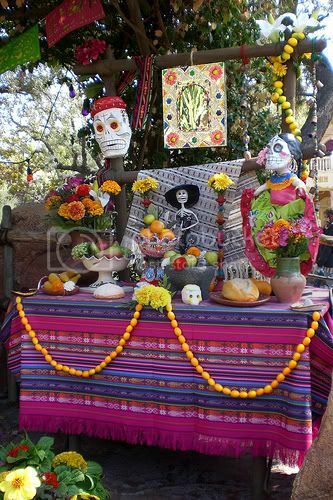 Types of ofrendas would be flowers, toys, and foods like sugar skulls and pan de muerto. On dia de los muertos, instead of carving pumpkins like on halloween, they decorate sugar skulls. One last thing is that both holidays are based on the dead, but the difference is that halloween is about being scared of the dead, and dia de los muertos is about celebrating the dead. 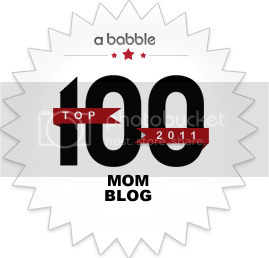 As you see I have my own blog on this, and I was able to reflect on this information! In my research, i was surprised to find out that the spanish wear wooden masks on this day instead of costumes. I think that the spanish would be surprised to find out that we are scared of the dead instead of welcoming them. I think these differences exist because of the different religious and cultural backgrounds between canada and spain. These could influence the understanding of the dead, and the celebration of them. I visited a cemetary in Mexico City 5 year on Día de los Muertos and it was probably the best cemetary experience I’ve ever had. Instead of getting creeped out by all the graves as I usually do, all the families there eating, playing music, leaving flowers, and celebrating the lives of their loved ones who had passed away made the whole grave and cemetary thing make a lot more sense.